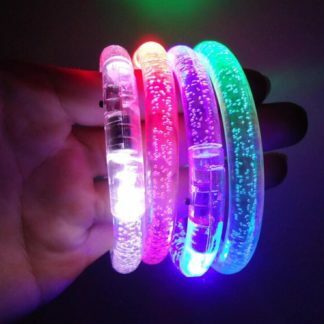 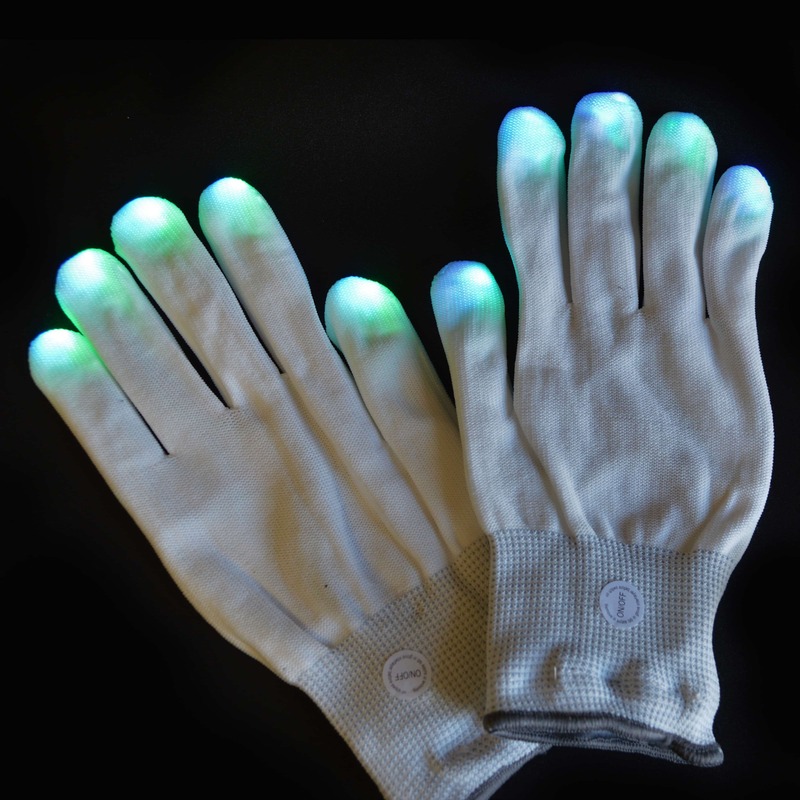 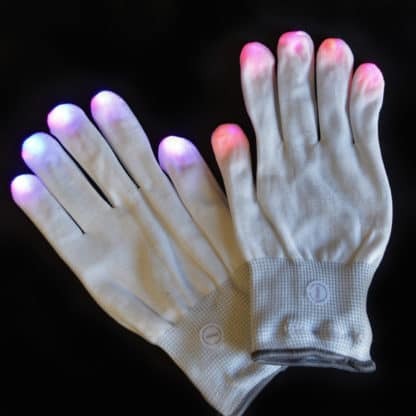 With a quick press of the discreet button, these gloves are transformed into a dancing fingertip light show. 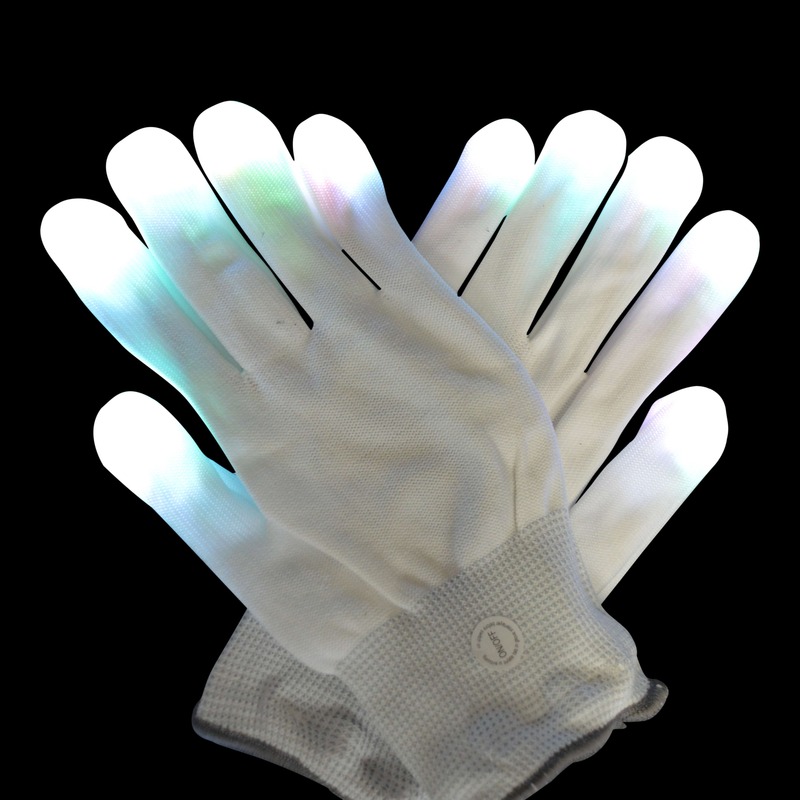 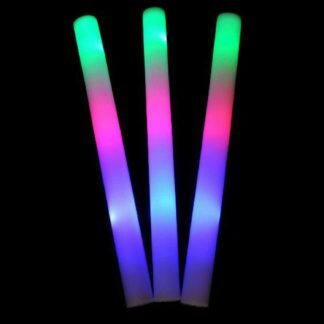 The light up gloves are high quality, stretchy and comfortable, and each fingertip contains 2 LED lights which flash to 6 different modes. These are available in white only, and in one size, suitable for older children and adults. 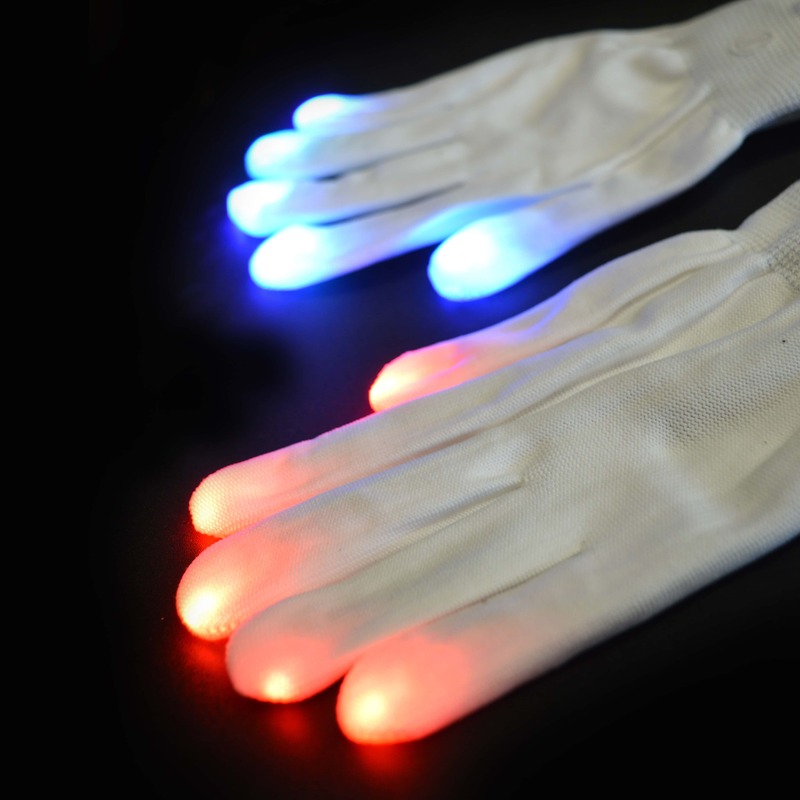 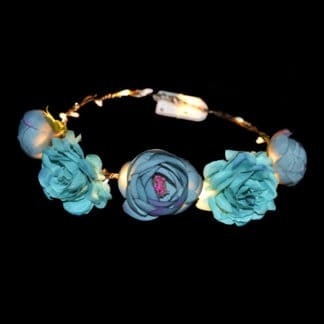 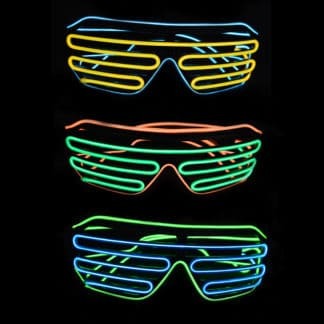 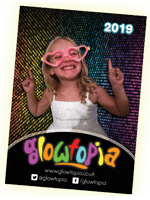 We think they look great for budding magicians and Michael Jackson impersonators, but fear not, they also make great accessories for bonfire night, clubbing and raves, festivals and adding some funk to your winter wardrobe. 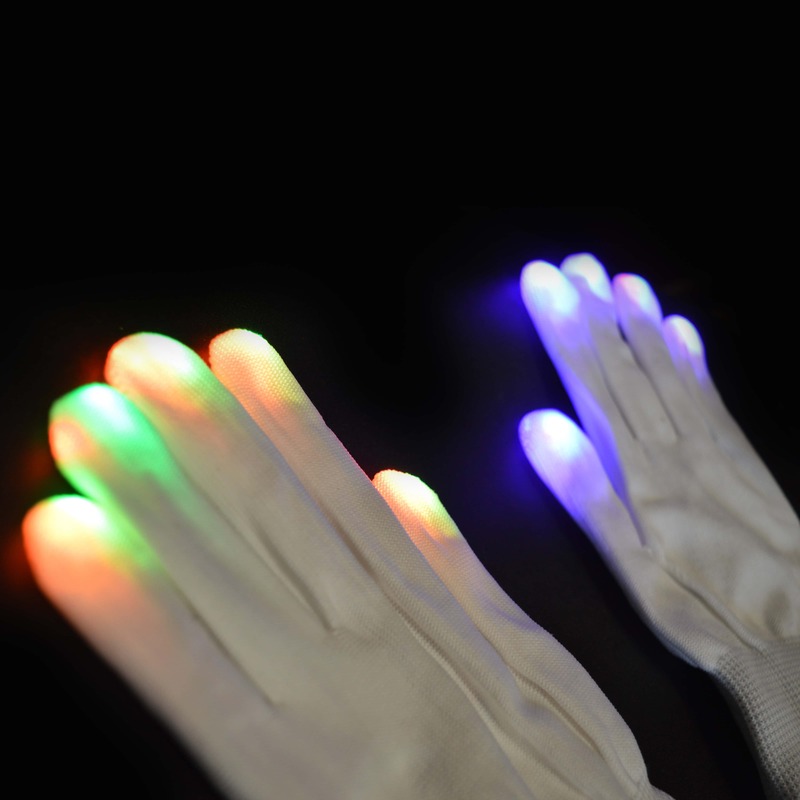 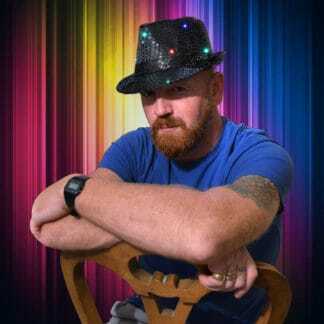 Fingertip LED lights alternating in red, green and blue over 6 different flash and speed settings.